The 1966 science fiction classic The Fantastic Voyage depicted a submarine and its crew, shrunk to microscopic size in order to remove a blood clot from the brain of a defecting Soviet scientist. This talk will describe a better, alternate approach that relies on microbots that researchers call microwheels. These microwheels consist of small blood cell-sized particles assembled, driven and powered by magnetic fields. In his talk, Dr. Keith Neeves will share from his experience and show how microwheels are utilized to ablate blood clots. Dr. Neeves is a Colorado native, born and raised in Colorado Springs, who obtained his B.S. in chemical engineering at University of Colorado Boulder and a Ph.D. in chemical and biomolecular engineering at Cornell University. 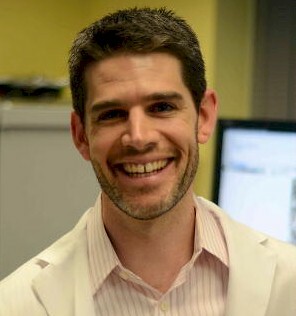 He was a postdoctoral fellow in the Institute for Medicine and Engineering at the University of Pennsylvania before starting his own lab at Colorado School of Mines in 2008 that focuses diagnosis and treatment of cardiovascular diseases. His research is supported by grants from National Institutes of Health, Department of Energy, National Science Foundation and American Heart Association.